In traditional Chinese medicine rheumatoid arthritis comes under BI Syndrome. 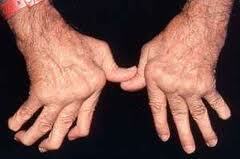 It is common and serious type of polyarthritis. It affects about 2% of the population and three times more common in females as that of males, family history is often positive. Usually peripheral joints are affected. Results are satisfactory, just regular sitting are required about 6-7 months.